Join the discussion on our forums! 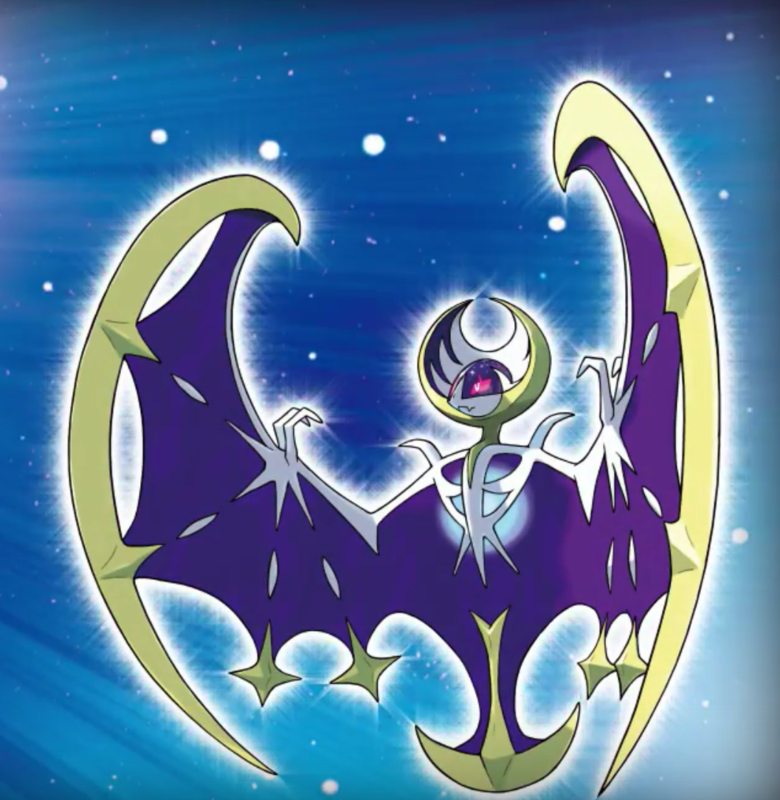 Come discuss Exploding Bloatbat over in our dedicated Exploding Bloatbat discussion topic. "4 mana for a minion that only deals 2 damage to all enemy minions? Pssscht, too slow. I'd only play it if it could, say, COMPLETELY wipe the enemy board and/ gain me some life in the process..."
4 mana crystals for this is too high it needs to be down at 3 to be worth it especially since it's the only AOE exclusive hunter MINION. Surprisingly, this card has been rather successful in the Wild Eggrattle Deck that I've been playing. Using something like Play Dead on it as soon as you play it can help stabilize against token decks and trading it next turn makes it a pseudo Flamestrike. With Baron Rivendare it's Deathrattle literally is a Flamestrike! Corpse Widow can lower it to a more acceptable mana cost and Shaky Zipgunner can bring it's stats up. It's also a pretty good Bonemare target if you don't have any eggs on board. Sure it's a bit slow on its own, but there's definitely some potential. Poison effects don't work with deathrattles, as it requires for the minion to be alive to apply. If you use Play Dead or the others of the like, it should work, however. Actually they are changing how keywords like Lifesteal and Poisonous interact with Deathrattle effects when the expansion hits. So now Anomalus will heal with Frost Lich Jaina's Lifsteal effect, and Deathrattle damage + Poisonous will kill. source??? because it's not working....control hunter will still be a dream. they just want us to play face face face. 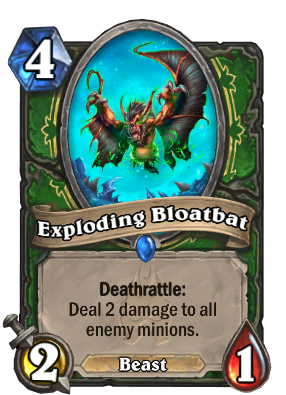 Exploding Bloatbat + any poisonous beast creates a fantastic Zombeast for the Cube Hunter (or Jurassic Hunter) deck. Killing it with Carnivorous Cube (and then generating multiple copies) or triggering its death rattle with Play Dead or Terrorscale Stalker, all are fantastic board clears. If you get multiple copies up, your opponent may never be able to have a minion stick on the board. Further, if the pairing is with Stubborn Gastropod, the taunt makes it likely you will get your board clear. (Although silence is still a defense.) I've been playing a lot of Cube Hunter and these board clears all work and I've had many games change from a lost to winning position because of this Zombeast. And then your board-clear is still vulnerable to Silence and Transformation? And your opponent chooses how to play around it? What you just described is highly impractical. If you try and pull this off on a full board, you're going to get curbstomped. If your opponent has no board, then you are giving them ten whole mana to play with. They will recover and stomp you. You are welcome sorry if I sounded rude. I still believe though that this card is very bad. And that Toxic Arrow is also bad. might as well play the 5 mana 4/4 abomination that deals damage to all characters and that card is AWFUL. why so salty my friend? Kind of bad because your opponent can decide how to set it off most of the time. 4 mana for a 2/1 just feels terrible. Who asked for hunter AOE? I did. Control Hunter is one of my favorite archetypes, and this is a pretty good tool for the deck. Great Zombeast component too!